We’ve been in business for nearly 150 years and have thousands of choice grave spaces available that will enable us to continue serving the needs of our community. It has been a privilege to offer many services for past, present and future generations. 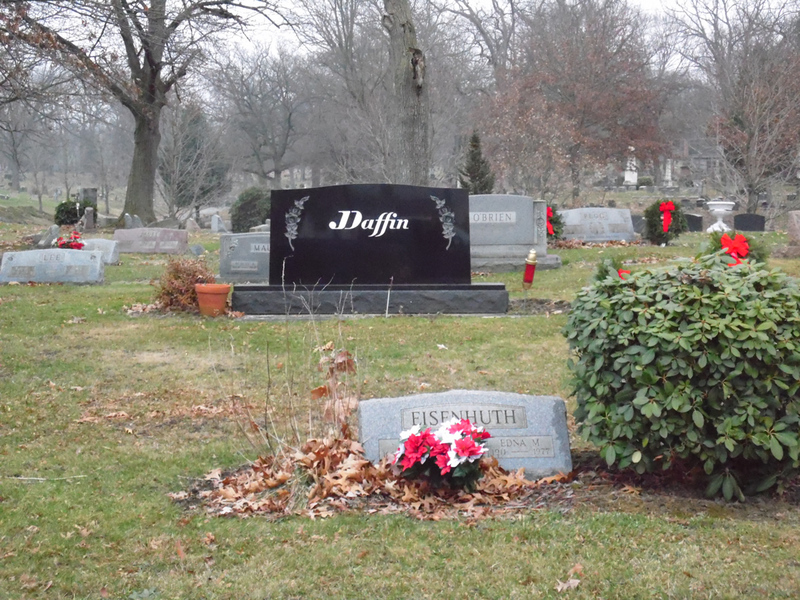 We have select spaces in our cemetery that range from $150 to $500. The spaces we have available are single, companion or family plots. Our staff will kindly show you these sites at no obligation. New to the cemetery is our “green” burial site for those who are concerned about the environment. We allow only biodegradable, eco-friendly materials to be used in caskets and cremation containers. Any embalming products must also be of biodegradable, eco-friendly substances. Over the years, cremation burial has become popular, so this area for burial of cremated remains has been developed. Located at the east end of section T-North, each space can accommodate one or two burials. Several years ago we brought to our cemetery a romanesque columbarium, located on our east lawn near our office. Families now have the option to have their cremated remains intered above ground. Honorably discharged veterans residing in Mercer County are offered burial in this section. The spouse of veterans can also be buried beside the veteran in our select sites.